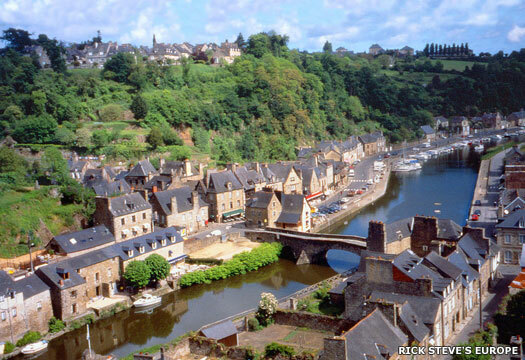 The north-western corner of today's France was known during the Roman period as Armorica. The tribe of the Veneti had been the most powerful of Armorica's tribes, and that name gradually changed during the Roman occupation to Vannetais. This was how Armorica was initially known to the Britons who began migrating there in the fourth century AD, during a period in which British town life appears to have declined. The low-key migration from Britain into Armorica seems to have picked up noticeably in the mid-fourth century, but it became a flood in the unsettled fifth century. Traditional certainly maintains that the British colony in Armorica was founded before the expedition of Constantine III in 407. People arrived mainly from the south-west of Britain, from Dumnonia and Cornubia, and each group retained its ethnic name (ergo the people in each region knew exactly what they were ethnically or tribally, regardless of who was king over them). This new colony of Britons formed in a region that was beginning to drift out of firm Roman control. The colony's traditional first king, Conan Meriadog, ruled Armorica as the kingdom of Vannetais, maintaining the local Gaulish tribal name. The area was permanently 'freed' of Roman control by Magnus Maximus as the first stage of his invasion of Gaul in 383. Conan was placed in command, with a probable capital in Vannes. The usual Celtic practice of dividing territory between sons soon created the smaller principalities out of Vannetais during the course of the fifth and sixth centuries whilst other Britons also popped over from the mainland to found their own principalities. Situated in the north-east of Brittany, the earliest princes of Domnonia are mentioned in several Lives of the Saints. Guitol, the fourth of these princes, is named by the Life of Saint Winnoc and the Life of Saint Judicael as the son of 'Urbieni filii [son of] Catoui filii Gerentonis'. The three Armorican principalities were all subservient to the king of Brittany. Until the reign of Jonas, the rulers of Domnonia were titled princes. After that, they supplied the 'Kings of the Bretons', and Domnonia itself was elevated as a result. Domnonia (or Domnonée in its later form) may have been settled by Britons of Dumnonia, probably of the royal house, while many other Britons probably entered Armorica from other parts of Britain by going through Dumnonia. According to tradition and early surviving writings, the two kingdoms certainly seem to have shared a connection in their early days. It could be conjectured that Dumnonians fled to Armorica in the face of the initial Roman conquest of Britain in the first century AD, but this seems unlikely. It had only been a century since Armorica itself was conquered and large numbers of Celts had fled in the opposite direction. They would hardly flee one Roman force now simply to hand themselves over to another. Instead, the main migration of Dumnonians seems to have taken place in the face of the post-Roman uncertainties (and sometimes chaos) of the fifth century. Domnonia's location in relation to the other Armorican principalities also supports a settlement by Dumnonians. Four (self-identifying) sub-ethnic groups seem to have moved to Armorica to settle in a geographical order which matched that of their homelands in Britain - from west to east these were Leon, Cornouaille, Domnonia, and Rennes. 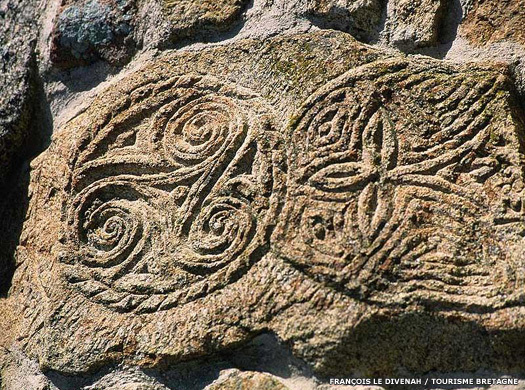 Poutrocoët was an early medieval pagus in Brittany, and the name itself is Breton in form. Contemporary accounts translate it literally into Latin, showing it as pagus trans silvam, meaning 'country beyond the forest (such as charters held by Redon Abbey). The pagus started out as part of Domnonia, and included a smaller region with the name of Porhoët. It was much larger than the other pagi, and was perhaps just 'a vast region that had escaped the primitive division into pagi' according to Karen Jankulak, after Chédeville and Guillotel). It was sparsely populated and heavily forested, so it is sometimes associated with the legendary medieval forest of Brocéliande and the inland Argoat. This would make sense, as much of inland Brittany was hilly and forested, and sparsely populated. By about AD 1000, Porhoët was a viscounty in its own right. Possibly the second-in-command of Constantine III. Son. Mistakenly named Erbin ap Custennin Corneu, of Dumnonia? Son of Gradlon, king of the Bretons. Upon the death of Deroc, his son is exiled to Britain when Deroc's former general, Marchell, seizes control of the principality. Riotham eventually returns to kill the usurper and take the throne for himself, but his precise identity is open to a great deal of question. Son of Deroc (the Riothamus of AD 469?). One Riothamus is remembered as one of the greatest leaders of Britons in the mid-fifth century, but it is unclear whether he is a leader of insular Britons, and possibly even high king of Britain or, less magnificently, Riotham, the princely son of Deroc of Dumnonee. Even which King Deroc to claim as his father is unclear, so perhaps two separate individuals are being confused. He could be Riothamus, leader of a 12,000-strong British expedition against the Visigoths in Gaul, in alliance with Soissons, Burgundians and the Western Roman empire. 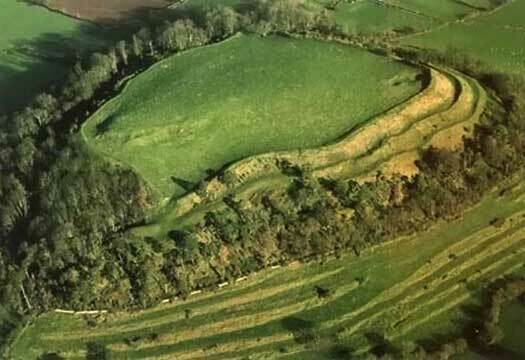 He could be Ambrosius Aurelius of Britain and therefore linked with the refortification of Cadbury Castle. Or he could be a more minor Breton prince. Geoffrey Tobin suggests that this 'landing' of 495 be taken literally. The Encyclopaedia of Earth states 'Tidal streams in the eastern English Channel and [around the] Channel Islands area [are] generally anti-clockwise, whilst the western entrance of the Channel has a clockwise tidal circulation [that is] wedded to the Celtic Sea'. Visualising this, one can expect frequent landings in Hampshire from both Brittany and Flanders by skirting the English coast, and return journeys to the Cotentin peninsula then passing along the coasts of Brittany and France. Cerdic may take one of these routes while the Saxons take the other. If the strong states of Domnonia and Dumnonia are one kingdom in the fifth century, and Cerdic is an ambitious noble, perhaps a fractious younger brother of the magistrate or ruler of this region, then this would explain his actions in landing near Southampton (as Bretons later often did) and taking on the loyalist Natanleod (in 508). Having established a beach head, it would reflect the times for him to forge alliances with rebellious Britons, immigrant Saxons, and hybrid groups who need a seasoned battle leader. Deroc II may sometimes be confused with his predecessor, Deroc I, but it is Jonas (Ionas ap Deroch) who succeeds him and not Riotham, son of the first Deroc (sometimes stated as being the case, but perhaps based upon a chronology that differs from the one being used here). The principality is now raised to a kingdom. Son. Killed by Conomor. m dau of Budig II, king of the Bretons. Son. Born c.530. Imprisoned by Conomor. Judual is imprisoned by Conomor of Poher so that the latter can seize his kingdom. Conomor's name means 'great dog'. In the Life of St Pol de Leon (St Paul Aurelian) completed in 883, there is a 'King Marc whose other name is Quonomorus', or Cunomorus, meaning 'hound of the sea'. This may be a confusion between this Conomor, prince of Poher and king of Domnonia and the Cyn-March ap Meirchion of Cornubia, or even the Marcus Conomari of Dumnonia, who had ruled in the early fifth century. It is hard to be sure if both Cyn-March and Conomor hold any power in Poher, or if the former is merely present due to the aforementioned confusion. Prince of Poher. Usurper. Killed in battle. Conomor is said to have emigrated from Britain into the Vannetais in the first half of the sixth century, and then to have build a castle at Carhaix in Poher. Breton tradition presents Conomor as a local 'bluebeard' who does not spare the life of his last wife. When threatened by his rival Breton warlords and abbots, he seeks help from Childebert, king of the Franks of Paris, but is killed around 560 in a battle against Chlotar, Childebert's more powerful superior. Son. Hoel III of the Bretons? Brother. Same as Iudicael, king of the Bretons? Under Judicaël's reign, Bro Erech seems likely to be united with Domnonia. Judicaël is descended on his great grandmother's side from Waroch of Bro Erech. As it seems highly probably that Judicaël, king of Domnonia, is also Iudicael, king of the Bretons, Domnonia's kings probably continue as high kings of Brittany, and Domnonia effectively becomes the chief state of the colony, their kings listed as kings of the Bretons.